Today is the 10th birthday of the Salesforce AppExchange. Think about that. 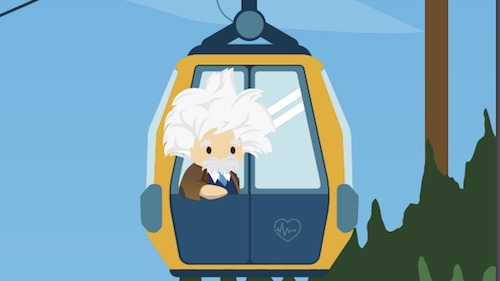 Ten years ago, Salesforce had a vision that customers and developers could package and sell apps on top of the Salesforce platform. The vision was huge — and the task immense. And what’s emerged 10 years later is a first-of-its-kind marketplace geared to help companies find everything they need to run their businesses in the cloud. A marketplace of apps that helps companies focus on their customers so they can grow faster and be successful. Today, 85% of Fortune 100 companies are using at least once AppExchange app to connect with their customers in entirely new ways. What started 10 years ago as add-ons for Sales Cloud has now become the must-visit destination for extending Salesforce and broadening the use of cloud apps into other departments within your organization. 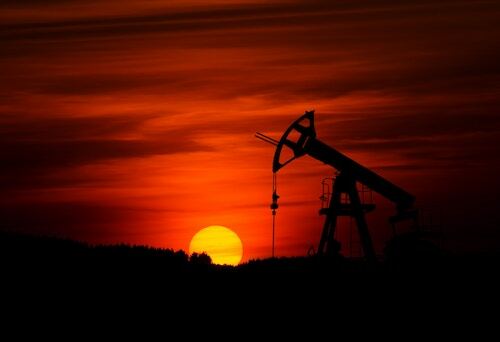 Case in point: For operations or back-office needs, businesses can install incredible ERP apps. Revolution Group, an IT consulting firm from Ohio, needed to gain visibility into its three separate practices. To gain that transparency, the company leveraged FinancialForce PSA to get access to information via a single platform. The result was a 100% mobile platform that saves more than 60 hours per month in calculating utilization targets, and ultimately, visibility into Revolution Group’s three practices. For HR, businesses can find Salesforce and partner apps to assist with the recruiting process or manage their candidate pools, like Fairsail Global HRMS and Talent Objects by Lumesse. And there are amazing apps for vertical industries as well, ranging from from government to financial services to retail. Own a scuba shop? There's even a scuba diver app to run your business via the AppExchange. Check out this post for more success stories from AppExchange customers. The AppExchange also helps customers future-proof their investments. Because many apps are built natively on the Salesforce platform, they are automatically mobile. In fact, more than 300 apps are mobile-ready and work inside the Salesforce1 mobile app, so customers can access them from the office or on the go. It's not only CRM in your pocket; it's also running your whole business from your phone. The newest addition to AppExchange is Lightning Components, available on the brand-new Lightning Exchange. If the AppExchange is for full-fledged applications, the Lightning Exchange is for parts of an application or page that customers and partners want to build or customize using the Lightning App Builder. The Lightning Components section of the AppExchange empowers users to edit a page for an opportunity or an account without changing the whole application. They can easily and quickly add blocks of data or information to customize the page to their unique needs. Drag, drop, done. As part of our commitment to customer success, every app on the AppExchange goes through our rigorous security review. That ensures these apps are trusted. Apps on the AppExchange are pre-installed in our multi-tenant environment on the latest release of Salesforce. They show up in a user’s Salesforce org when they install them, and they’re ready to be configured to their needs. Nothing is better or easier or safer. As part of the 10th birthday celebration, we're excited to announce that AppExchange users will now be recognized as part of the Salesforce MVP program, highlighting outstanding leaders in the AppExchange ecosystem. 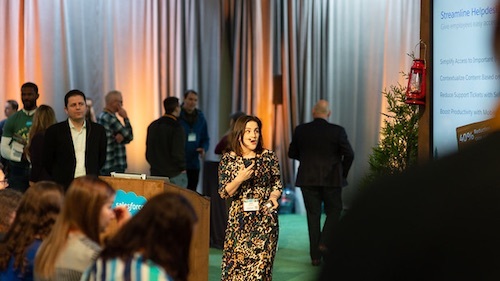 These Salesforce MVPs are being called out for willingly sharing their expertise with others, advancing the body of knowledge around the AppExchange community and strengthening the AppExchange network. Learn more about the Salesforce MVP program here. The full list of Salesforce MVPs, including those being celebrated for their contributions to the AppExchange community, will be announced as part of the Spring '16 class. Finally — and perhaps most importantly — as part of our 10th birthday celebration, Salesforce is also giving back to the community at large. For each AppExchange install today, we’ll donate $10 to Girls Who Code, a nonprofit that educates, inspires, and equips high school girls with the skills and resources to pursue opportunities in computing fields. Let’s work together to create the next generation of AppExchange app builders. Happy birthday, AppExchange. At the end of the day, we’re celebrating the success of customers who are using apps to work smarter, faster and better because of the world’s leading business app marketplace. Thanks to our incredible ecosystem of ISV partners that have created more than 2,800 apps to help businesses connect with their customers in entirely new ways.